Bridal Deluxe - The Show | It’s All About The Details! 29 Oct It’s All About The Details! If wedding inspiration is what you’re after, then Bridal Deluxe the show is your go-to source for all regional wedding must-haves. Taking centrestage at The Pavilions of Harrogate on Sunday 18th February 2018, Bridal Deluxe is Yorkshire’s brand new consumer, luxury wedding event. Couples can expect a carefully curated presentation of more than 120 of the region’s finest wedding creatives, which are there to help make your wedding dreams a reality. Taking a fresh and modern approach to wedding shows with a nod to all things super stylish, Bridal Deluxe aims to bring brides and grooms-to-be all the ideas and inspiration they desire. 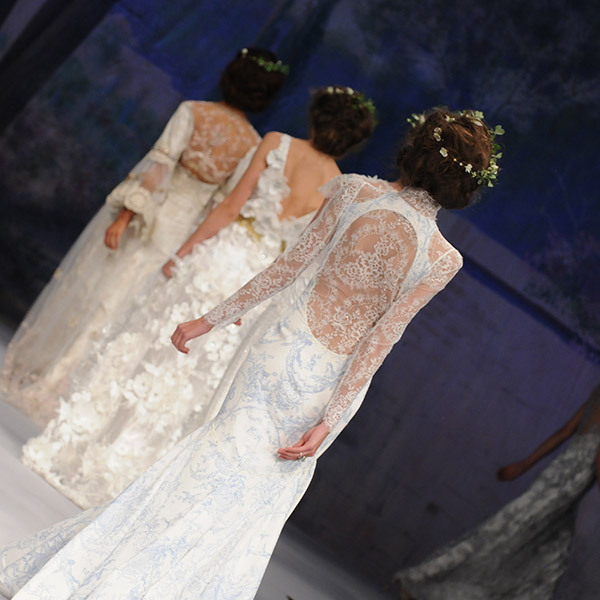 In addition to wedding suppliers, a choreographed fashion showcase and complimentary masterclasses, there’s also dedicated bridal zones throughout the whole exhibition. Designed to give couples plenty of ideas and visual presentation, these showcases are a brilliant way to see what suppliers can create, the latest trends for 2018 and how this could be incorporated into your wedding. From venue styling and sweet treats to floral creations and beauty galore, couples will find everything they need and more. There’ll also be live entertainment throughout the day, as well as a wedding car showcase. Make sure you register for your VIP goodie bag online now, and save the date in your diary!